*Blue Sky Bio implants are grit blasted followed by an acid etch and a fluoride etch. 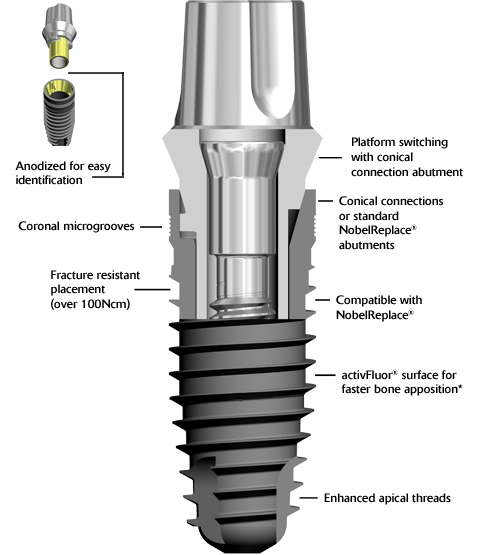 This process creates a macro and micro geometry that enhances bone apposition to the implant surface. 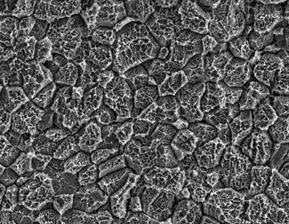 ActivFluor is a fluoride modified surface and is one of Blue Sky Bio's significant advances. Various fluoride modified surfaces have been shown in multiple studies to generate a higher bone-to-implant contact (BIC) and higher torque out force significantly earlier than surfaces which are only machined or blasted and not fluoride treated. 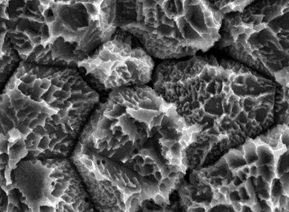 The enhanced apposition of osteoblasts is primarily achieved by a modified nano topography of the implant surface and not by additional chemical activity. The combination of macro geometry and nano topography of the external surface makes Blue Sky Bio implants ideal for cases in which early or immediate load is indicated.